THE #thankyou million - A PRODUCT IDEA AS COMMUNICATION FOR TIPP24. What do you do when a client really wants to have a viral? You invent and present him a product that differentiates, creates a new business model and at the same time is a creative springboard for more than just a seeded, generic piece of advertising. This is exactly what we did. Gold, golf, huge house, huge car, huge boat, young lover: everything I want when I win the lottery. Same old clichÃ© and same old insight about why people really try their luck with the numbers. Our totally new insight: almost all lottery winners are in the same situation. They want to share their luck with other people they are thankful to. But as everyone else, they donâ€™t want to give something away from their money. We differentiated Tipp24, just not the way it was briefed. 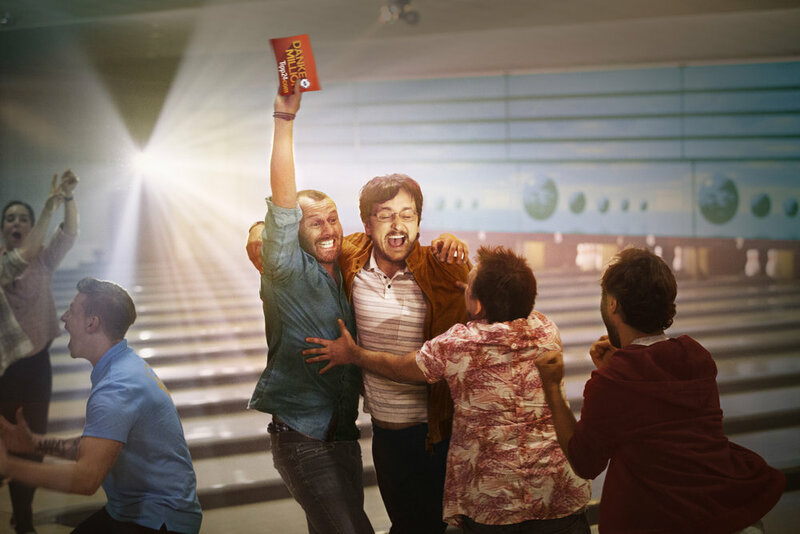 But with a brand-new product that added a beautiful gesture to the lottery game: the #thankyou million, literally one million Euro on top of each jackpot to dedicate it to a well-deserved friend and enabling the winner to share his joy without having to give something from his own money. Since everyone nominated for the #thankyou million receives a notification e-mail, they also get in touch with the lottery products of Tipp24 and are encouraged to play and nominate someone for the #thankyou million themselves. This way, without having to communicate at all, Tipp24 gets even more awareness and potential players with every nomination. In other words: we created the first perpetuum mobile for an online lottery service. Realised by the agency with Arne Feldhusen, director of well-known German series â€œTatortreinigerâ€œ and â€œStrombergâ€œ, celebrating the act of saying thank you â€“ with the #thankyou million. In charming stories, average people become heroes. And share their luck with someone very important in their lives, in a great emotional speech. The films are available online and on TV. The #thankyou million can be played only on tipp24.com and tipp24.gratis.